In the “Layers” category, you will find a button marked “Browse Layer” which opens a new dialog box providing a complete overview of all layers contained within the current document. This can be opened either using the “Layers...” menu item in the Acrobat “File” menu, or using the “Explore Layers” menu item in the plugin or the standalone version of the software. 1. 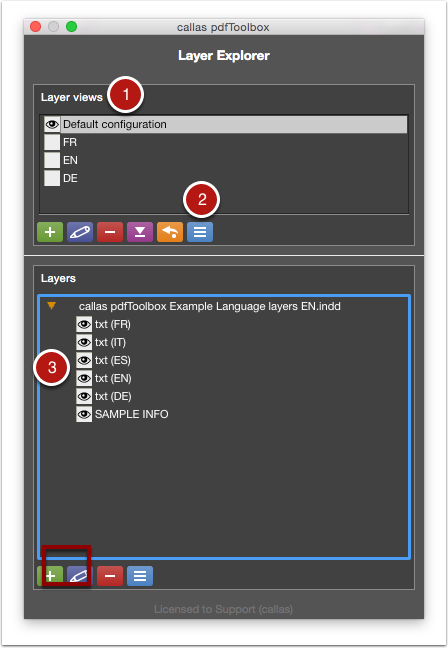 The upper section of the Layer Explorer window shows the layer view. This is designated OCCD in the PDF syntax. A layer view defines the visibility of each individual layer. 2. The “Actions menu” allows you to create, edit and save layer views. Layer groups of this type will appear in the Acrobat 9 layer palette if the PDF is saved in PDF/X-4 format. You can do this easily using the “PDF/X-4” Action under the “Standards” group. 3. 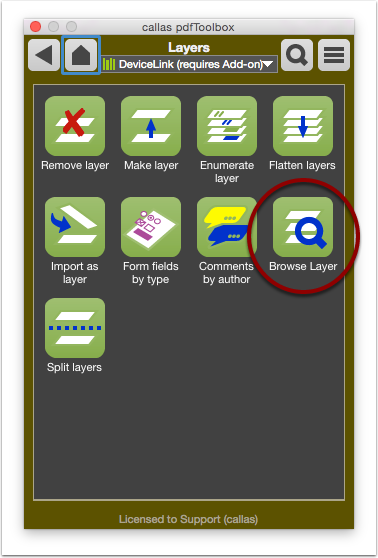 The lower section of the Layer Explorer window shows the individual layers. These are designated OCG in the PDF syntax. The “Actions menu” allows you to create, rename and delete existing layers. Saved layer views can also be applied using the power tools such as the “Apply OCCD Configuration” Fixup. 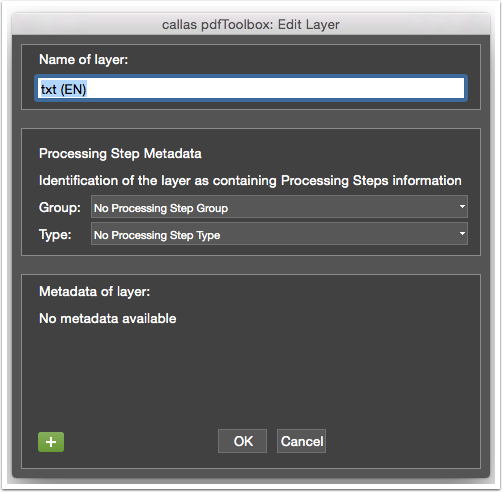 If there are no layers in the current PDF file, the Layer Explorer will display the available options for creating new layers using the pdfToolbox. You can easily edit individual layers or processing step metadata using the pencil icon.